I have made my NEW YEAR'S RESOLUTION. Go and read Scott A. McConnell's article, What Is The Meaning of New Year's? Here is an excerpt. I want to thank my readers by quoting Cox & Forkum's post, New Year 2005. I want to thank my fellow bloggers, traders, supporters, sponsors and blog partners for a great year! Scott Holleran of Concord Crier. Burgess Laughlin of the Aristotle Adventure. The individuals of ICon & participants of the Objectivist conference in London. Christer Sjöback of SJC Jewelry. John Cox & Allen Forkum of Black & White World and Black & White World II. Linda of Quent Cordair Fine Art. I also want to thank the individuals who have purchased products from the EGO store and my wish list at Amazon. This post is included in this week's edition of Blogger Idol. As a true consumer & producer advocate, I have added a watch by Smith & Wesson to my wish list at Froogle. I am interested to learn more about the Memorandum Opinion for the Attorney General, Whether the Second Amendment Secures an Individual Right. Talking about gifts and presents, read Gerard Van der Leun's post, Free to American Digest Readers: The Quotable Sherlock Holmes. You could read about my X-mas gifts on my other blogs. For more information on one of the authors (P. G. Wodehouse), please read my post, AMERICAN DINING ETIQUETTE. You will find plenty of parties during this time of the year. It is no exception in the blogosphere. Check out the last Carnival of the Capitalist of 2004, at the Business Opportunities Weblog. Don't miss the Reason Roundup at the Charlotte Capitalist. If you are interested in starting a discussion on the true concept of egoism, have a look at the Radical Centrist's comment on my entry to the Carnival of the Vanities. My guess is that the dictators in Communist China are starting to get worried about the "wind of freedom," sweeping the world and the pro-independence movement. From Digger Realm's post, China Continues Threats Against Taiwan, Will "Crush" Them. It seems to me that this is all about ego. There really is no need economically or militarily for China to hang on to Taiwan. China has an ample supply of land and manpower. I am fairly ignorant of the relations and past animosities between the two nations and any other underlying issues other than the obvious political and egocentric reasons for China making this such an issue. Maybe someone could enlighten me a little more. I hope that Condoleeza Rice has a different view on Taiwan than Colin Powell. I recommend you to read my post, REFERENDUM IN TAIWAN ON 03/20/04, and check out "Common Misconceptions about Taiwan" at TaiwanDC.org (New Taiwan - Ilha Formosa). I haven't written a post on Iran for some time, so it is time to underscore the continuous threats from the Mullahs in Iran. I say as Michael Ledeen: "Faster, please." Martine Gozlan thinks that "the liberation won't come from America, but from women." I am not sure about this statement, after reading that the Iranian parliament is very quiet regarding the issue of the arrested journalists and bloggers. I think that Rob Sama's post, Smart mob war for Iran, is an interesting suggestion on how to conduct warfare. U.S. Muslim event hails Khomeini by Art Moore. The Mullahs Kill - The Europeans Appease! by Blog-Iran. Iran Acknowledges Terror Convictions by Nasser Karimi. Militant recruiters out in open in Tehran by Ali Akbar Dareini. Iranians lying, cheating for nukes by Jerome Corsi. Iran's Pointless Prez Race by Amir Taheri. Please read my post, BLOGAGANDA BY THE MULLAH, before you conclude that Abtahi is a friend of justice and a true supporter of the Iranian bloggers. For more information on the political situation, read Bill Samii's analysis, Iran's Reformers Lack Viable Candidate. In the news: Yushchenko wins Ukraine election. We are picking up the seismic shock from the streets of Kiev in the little nation of Moldova, where we are helping the pro-democracy forces. I have to celebrate the orange revolution in Ukraine with a chestnut crêpe (gesztenye palacsinta) when I am back in Hungary in January. Read John Fund's article, From America With Love. Ukraine's new first lady knows what freedom really means. I have a classmate who is from Sri Lanka. She had planned to visit the country in January, but she doesn't know if she will go now. She told me that her relatives and friends are safe because they don't live close to the coastline. Global Recon category at The Command Post. One might think that a disaster of this scale would transcend normal national or political considerations. But in the world of environmental zealotry, even an event such as this is seen as an opportunity to press the agenda. Thus, the source of the South Asian tsunami is being located in global warming. Have you read Michael Crichton's novel, State of Fear? Did you see John Stossel's interview (Michael Crichton Takes on Global Warming in Latest Work) with the author? In "State of Fear," environmental groups set off terrorist acts to focus attention on global warming. 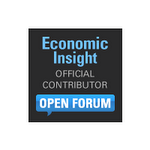 Thomas Bray (The Detroit Press) thinks that the "automotive execs should read State of Fear." Here is an excerpt from George F. Will's article, Book shows global warming is just so much hot air. Related: My post, HOT AIR III. Someone called Mark S. Lerner got a letter to the editor (Global Warming: Whose 'Hot Air' Is It?) published in The Washington Post. Could you tell me how big this made up holiday is? Here is quote by George W. Bush. Here is an excerpt from William J. Bennetta's article, The Kwanzaa Hoax. Have a glass of wine and listen to Equinoxe by Jean Michel Jarre. It is time to celebrate that we are going toward brighter times! Read about the winter solstice and the "rebirth" of the sun. Are you in the right XMAS SPIRIT? Scott Holleran made the following comment on the article, Christians protest actions that play down Christmas' religious nature. Here is an excerpt from Leonard Peikoff's article, Why Christmas Should Be More Commercial. More Christmas Gift Ideas for the Discerning Buyer by Chris Davis. Christmas Unwrapped: The History of Christmas by Andy Clarkson. Christmas Gift Idea #1 by Dave Stone. For more gift ideas, check out The Body in Mind Christmas List by Leanne Bell and Quent Cordair Fine Art gift shop. Have you ever tasted Zwack Unicum? First time I had a sip of this liqueur, I thought it tasted like cough syrup. Here is an excerpt from Martin F. Downs's article, Das Ist ein Unikum! It will probably take me some time to acquire a taste for this product, but I must say that I like the success story of the Zwack company. Győri Likőrgyár had to stop selling a product by the name, Hungaricum. A couple of sips later and I am getting used to the unique taste of Unicum. 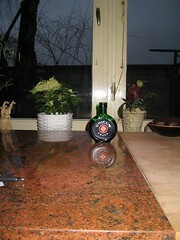 The Unicum brand is very strong and the bottle is designed in a way that stands out in the crowd of other spirits. Tamás Tárczy has written a story on Hungarian design. If you are interested to know what they write about in the "European non-English-language press," check out EuroSavant. I will follow the Hungarian category on a regular basis, when I am back in Sopron in January. BlogPulse's "key phrases" RSS feed hasn't been working on my blog for some time, so I have changed it to the "top links" feed instead. Here is a highlight of the year in review: Cox & Forkum has been cited 3159 times and was ranked as number 56 of the top blogs. I will celebrate X-mas in Sweden. My project place in Hungary is closed for two weeks, so I decided to go back to Sweden. I will have some time for blogging during the holidays, but I am still working on my school project during this period, doing research locally. I have to catch up on what is going on in the socialist "paradise," so I could write some posts in Swedish. On my other blog, I will write some personal reflections on this year's achievements, plans for the future, and control gates and milestones for 2005. Yesterday I got my first issue of The Economist. [Editor's note: O.Q. : Thanks for the gift subscription!] Do you think that the religious right has got a stronger position in the GOP, 50 days after the election? Please read the article, A hot line to heaven, for a discussion on George W. Bush's religious belief. I have signed up for CrispAds. I read about this service on Dan Sherman's blog, via Dave Stone's blog. Here is an excerpt from Adam L. Penenberg's article, RSS: Show Me the Money. Related: My post, BLOGSNOB SIMPLEAD EXCHANGE. If you are hungry for American food, check out my post, PAPA JOE'S. Go to Pestiside for a satirical take on the recent elections in Hungary and Romania. Bucharest Did Always Seem a Bit Warmer than Budapest. Stop by Rob Sama's place and wish him a happy birthday. [Editor's question to Rob: Did you have a happy meal at McDonald's?] Supermodels are welcoming you at the entrance of the Carnival of the Capitalists... Don't forget the Reason Roundup at the Charlotte Capitalist. Here is an excerpt from an article by Luke Johnson, chairman of Signature Restaurants and Channel 4. I will try to add new photos at my travelblog on a regular basis. You could now see a photo of the Roman wall in Sopron. If you want to see more pictures from the Austrian-Hungarian border, please send me an email and I will send you an invitation to my photo album at Flickr. I went to to a wine manufacturer called Lővér Pince / Sop-Vin Kft and purchased a bottle of Kékfrankos 2002 for HUF 780. The wine label is painting of two soldiers drinking wine and one of them is holding a blue franc note. I got an old box free of charge as a reminder of the bad times. Állami gazdaság means state owned estate / farm in Hungarian. The designation Kft stands for a private company. UPDATE 12/12/04: For more on victories for Soproni wine, read my post, SOPRONI CABERNET SAUVIGNON. István Széchenyi seemed to be a fascinating character. He wanted to connect Buda and Pest, so he took the initiative to build a chain bridge. I went to the Hungarian-Austrian border in Sopron and took a photo of the Iron Curtain. Do you see the watch tower? Read about the Pan-European picnic on August 19, 1989, and how "the pulling down of the Berlin Wall began in Sopron..."
I have a bunch of posts in the pipeline. It is an interesting range of topics from a guided tour in Sopron and its surroundings. You will read about an important "picnic" close to the Austrian border, a bridge builder, and the relation between wine business and the right color of money. I hope I will have time to publish them tomorrow or sometime during this weekend. Have you read They Made America: Two Centuries of Innovators from the Steam Engine to the Search Engine by Harold Evans? I got very interested in this book after reading F.J.'s post on HBL (December 8) regarding a story in the USA Today. If you are interested in inventions, read Anita Campbell's PowerBlog Review: Patent Pending. Talking about innovators, don't miss this week's edition of the Carnival of the Capitalists at The Entrepreneurial Mind with Dr. Jeffrey R. Cornwall and the Reason Roundup at The Charlotte Capitalist. John Cox & Allen Forkum's new book, Black & White World II, will be the Book of this Month. I will add the Amazon banner later on. I have now added the Amazon banner, but I don't know about the availability from Amazon at the moment. See Allen's post, New Book and Amazon.com -- UPDATED, for more information. Related: My post, BLACK & WHITE WORLD. You could now order the book from Amazon and Barnes & Nobles. If you want to support this blog, order the book by clicking on the Book of the Month banner or Cox & Forkum's Blogad. Please, read Jackson Crawford's post, Black and White World II. Ok, so it is official: Blog is the word of the year 2004 according to Merriam-Webster. Read why 2004 was the year of the blog at BBC News. I recently purchased some groceries at a Tesco store. It had a great selection of goods at low prices, open 24 hours a day. It would be nice with this kind of store in Sweden. I got use to this service back in Ohio with e.g., Kroger and Meijer. Tesco has 60 stores in Hungary. It is the leading online grocery store and it is now expanding its business with a TV channel and a "retail- based education institution." The stock analysts are giving Tesco a good grade. In the October issue of the logistics magazine, Tranzit, it was an article (10 éves a Tesco-Global Áruházak Rt.) on Tesco and its 10 years in Hungary. I will see if I can get a short translation and summary of it by a colleague. I don't have any more information regarding Tesco's complaints against Lidl, but here is a news story on Lidl in Scandinavia and what's happening with the local chain, ICA.